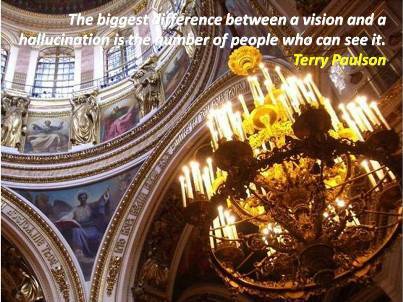 I’ve always said that the biggest difference between a vision and a hallucination are the number of people who can see it. Today a cast of over a thousand got the vision and delivered on the mission. Started by Emmanuel Church in Paramount, CA, The Compton Initiative has been making a difference for the community in Paramount and Compton. Over a thousand Christian volunteers from across Southern California met to make a difference. Volunteers descended on Enterprise Middle School to help transform the school. Volunteers from different churches, different races and different ages came together giving praise to God for impacting the community. You can learn more about the program at http://www.justdogood.com; you may want to do something similar in your area. The faith/optimism connection is documented in research, but you don’t need research to see the impact of God on this community of believers. The power of faith and a rock-solid calling can do wonders for one’s attitude and for those you serve. In my book, The Optimism Advantage, I remind readers that by serving you are served! The paint from the morning came off with water, but the joy-filled memory of the event will remain. Now make a difference where you are!